With LDS online dating being one of the latest trends these days among Latter-day Saints believers, it is not a big surprise that special dating websites are also taking the world by storm. One of the names that have risen to popularity right now is none other than TrueLDS.com. The main goal of TrueLDS is to offer a one of a kind experience as far as LDS online dating is concerned. 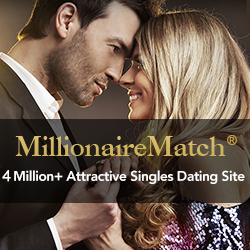 This dating website brings all LDS singles together. They also claim to know everything there is to know about the Mormon audience because the website is owned and run by Latter-day Saints believers as well. TrueLDS offers several exciting features that are guaranteed to help their members in having a great time when they use the website. Being exclusive for LDS members, and with its competitive pricing, TrueLDS gives ever member a public timeline which shows the activities and posts of the users. Other members can then see all of your latest activities by just dropping by in your timeline. It is also very easy to access the photo gallery. All you need to do is click on the Pictures tab you can find on top of the page. This photo gallery is where you will find the photos of other members. The username of the owner of every photo is also included in each image. Another feature of TrueLDS is “My Matches”. Through this feature, you can view profiles that are compatible with your profile details and description. You can also send instant messages to any member of the website when you upgrade your free membership to premium. Sending gifts is also a feature of TrueLDS. You may consider sending gifts to some members. Gifts are actually in the form of stickers. Adding any member as your friend can be done easily with TrueLDS. If you want to share something to other members, you may create your own blog. Through the site’s basic search, you can easily search for members through typing names in the search box. In the advanced search, you may choose various parameters to narrow down the results depending on your preferences. You may also search by age, gender, city, country, state, height, church attendance, ethnicity, lifestyle, appearance, and some parameters. Aside from creating your profile, reading the description of every profile, and viewing some members’ profiles, there is nothing else you could on basic membership. For you to communicate, send gifts, make friends, and use some advanced features, you’ll have to upgrade your membership. To top it all, TrueLDS might not have the rich features you’re expecting from a quality dating website, yet it offers enough features that will make it much easier and simpler for you to find the best LDS partner out there. The registration is free of charge, so it is definitely worth a try.